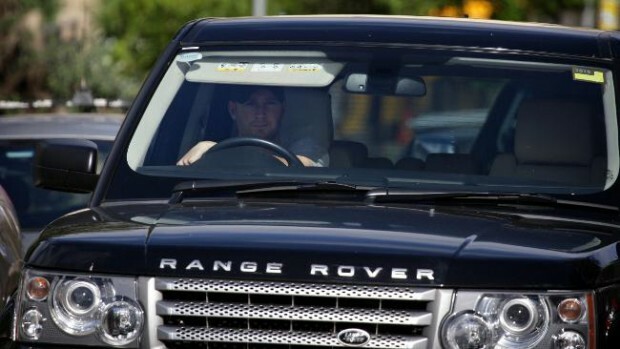 Michael Clarke owns a Range Rover car. Michael Clarke often confused with Michael Clark is popular cricket superstar in Australia. 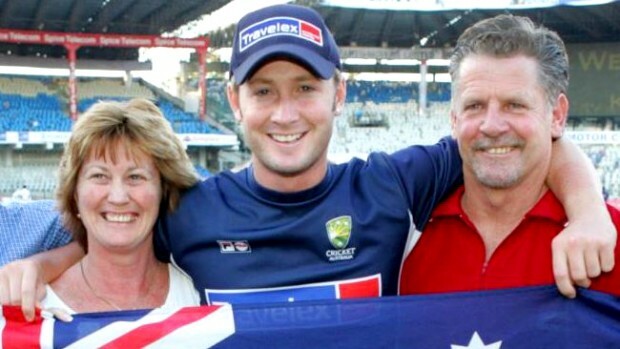 Like many Australians, Clarke has very laid back attitude making him the ideal candidate for celebrity family photos. This famous cricket player is widely considered by fans in Aussie and beyond the best captain and batsman to play in the Australian national team. Like many celebrities Clarke is not without detractors and he has faced accusations of fielding poor batsmen to maintain his sterling record. However his accolades speak more kindly of the cricket superstar having won Allan Border Medal a record four times; this medal is the most prestigious cricket award in Australia. 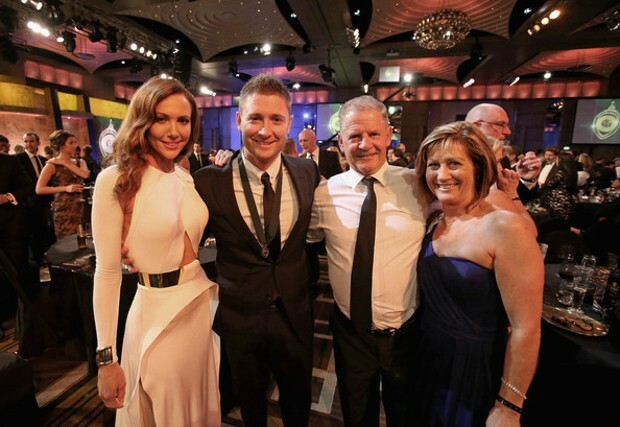 Michael Clarke enjoys a very warm relationship with his father and spouse often depicted in their celebrity family photos. Clarke’s who was raised in a happy home probably started building an interest in sport at an early age; his father owned an indoor sports center. 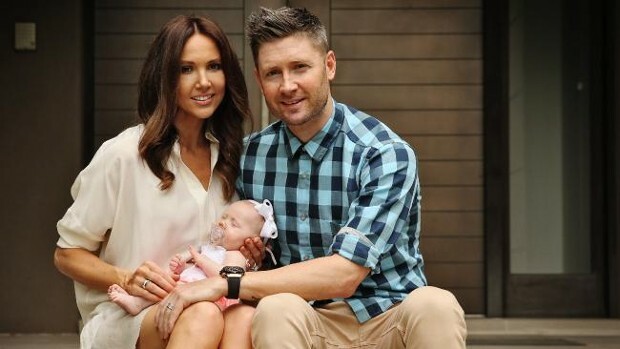 Michael Clarke is married to Kyly Boldy and have a daughter. 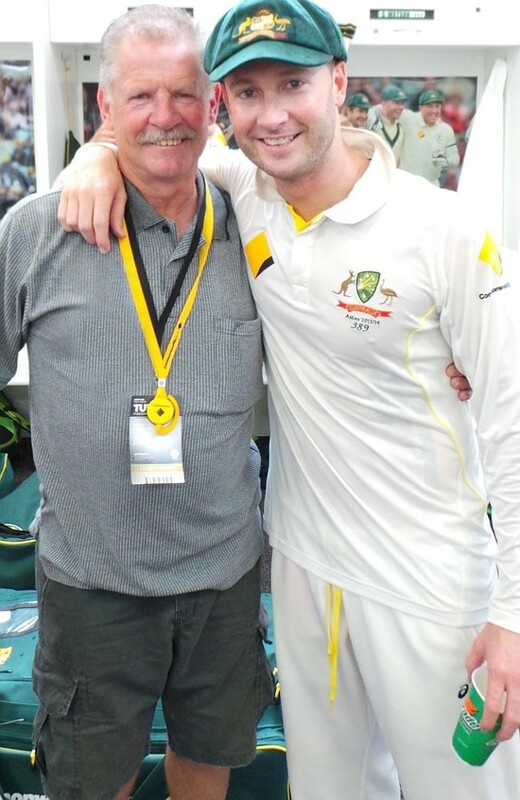 Having grown up without a brother, Clarke grew very close to Phil Hughes; he is reported to have said he considered him a brother and was devastated on his passing in freak cricket accident. 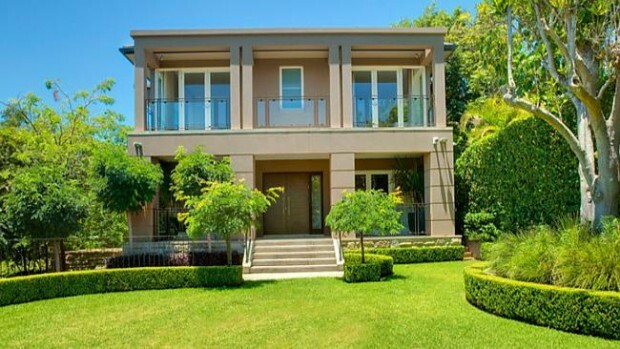 The entire family including parents, spouse and children are often together at high profile events and have been captured quite often by media in some of the most viewed celebrity family photo shoots in Australia. In 2015 following consistent poor performance Clarke announced his retirement from his main roles as a player and Captain of the National side.